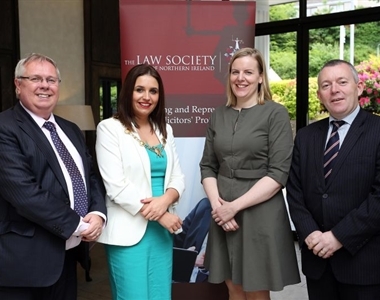 Identifying new business opportunities between the local business community and the legal profession was the focus of a unique business conference being held in Derry/Londonderry on Wednesday 23rd June 2015. 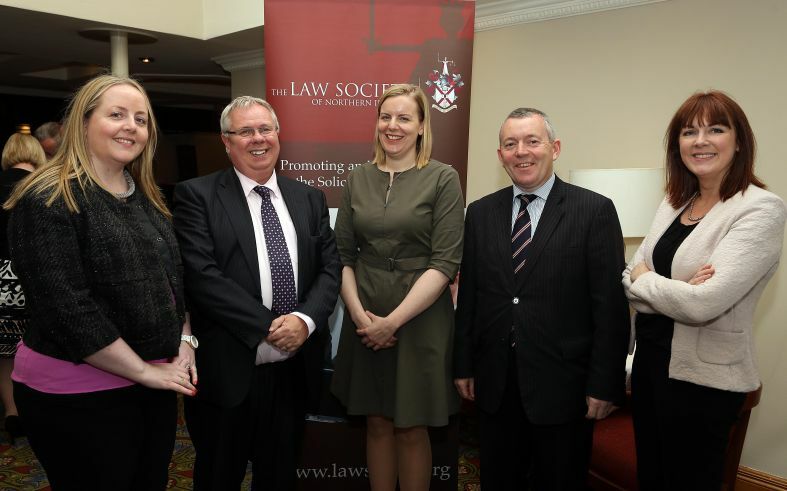 The conference entitled ‘Meeting the SME’s Business Needs’ had been organised by the Law Society of Northern Ireland to provide a platform for discussion and the sharing of best practices between members of the legal profession, local businesses, community representatives, politicians and representatives from the banking sector. Those attending the conference had an opportunity to hear from a number of key note speakers including Angela McGowan, Chief Economist with Danske Bank, Kirsty McManus, Director of the centre for SME development and local solicitors Paddy McDaid and Ciaran Hampson. 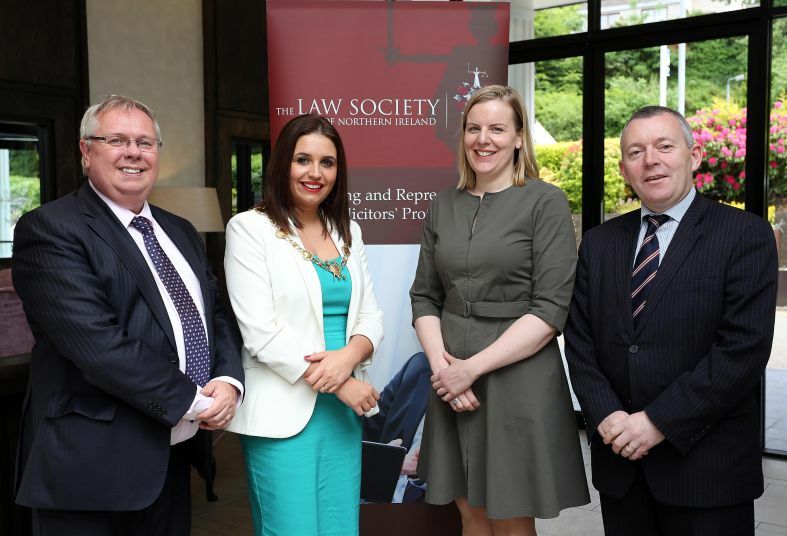 Commenting the President of the Law Society of Northern Ireland, Arleen Elliott said: “The Society has been working for some time to identify a date and time to bring our full Council meeting to Derry/Londonderry and it is perhaps a reflection of the important and invaluable contribution which local solicitors have played in the Society over many years”. Speaking of the business conference the President said: “The Society is delighted to be hosting this important business conference which aims to identify ways in which the legal sector and business community in the North West can work together to share best practice and to work collaboratively to grow the local and national economy”. From left are Kirsty McManus, Director of the Centre for SME Development, guest speaker, Mr. Alan Hunter, CEO, The Law Society NI, Arleen Elliot, President, The Law Society NI, and Mr. Paddy McDaid, Foyle Local Solicitors Association, and Angela McGowan, Chief Economist Danske Bank, guest speakers. 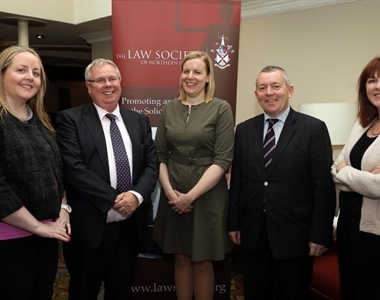 From left to right are Mr. Alan Hunter, CEO, The Law Society NI, Arleen Elliot, President, The Law Society NI, and Mr. Paddy McDaid, Foyle Local Solicitors Association, guest speakers.